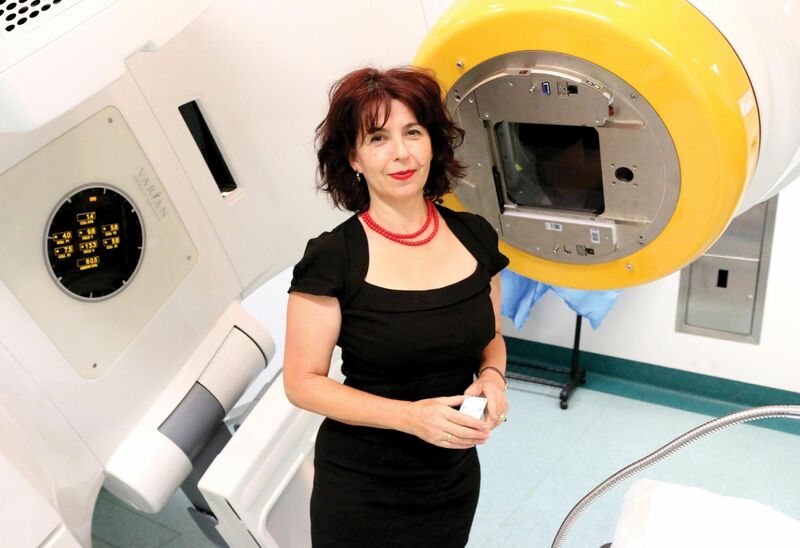 Director of medical physics research at Chris O’Brien Lifehouse, Associate Professor Natalka Suchowerska was one of the founding forces behind VectorLAB, a place where medicine, physics, biology and chemistry come together to find solutions for some of the most pressing problems in cancer. Her job is all about using the newest and most exciting technologies and ideas to find solutions at the forefront of cancer care. That’s why, for World Creativity & Innovation Week, we took a visit to her lab to see some of the ways her team is innovating, and how we can foster it. What kind of environment do you need to foster innovation? I think first, you need an environment that is welcoming to new ideas. You also need a mix of people who are not willing to accept the status quo. What you’re doing may be good, but you should always have it in the back of your head that it could be better. That being said, if everyone is innovative, it’s absolute chaos. Nothing is happening and everybody’s going off at all angles! In a team, you need a small group that are the innovators, but you also need someone who sticks to the rules and keeps you on the straight-and-narrow. Finally, I think the thing that is most important is not the innovation itself, but rather the vision that your team shares. Here at VectorLAB, it’s almost like a subconscious agreement between the team that we can do better for the patient – whatever ‘better’ may be. At VectorLAB, you collaborate with scientists from many different fields. How does cross-disciplinary collaboration promote innovation? Collaboration is key for us. It goes back to the vision – if your vision is, for example, an ego-driven vision like ‘I want to be famous,’ it’s very difficult to share such a vision. What we have is a vision of constant improvement in whatever form that may take, so that even though our multi-disciplinary team come from very different backgrounds, we have a common vision that draws us together. Everyone approaches the problem from a different perspective, and that’s why we sometimes end up with solutions that other people haven’t thought of. What are some of the most innovative things you’re working on at the moment? One of the main things we’re working on is understanding how radiation acts on the body. Radiation has been very successful in treating cancer, but we haven’t really understood how. We have, until now, used radiation fields in a very basic way. The technology to deliver the radiation is sophisticated, but the nature of the prescriptions is still the same as it was 20 or 30 years ago. If we can find out what sort of signals cells send to each other, and how those signals respond to radiation, we may find new and more effective ways to use it. We are also working with 3-D printing to create a scaffold for damaged bone to regrow. Many cancer patients have to have bones surgically removed. Currently, the main options for those patients are to have a titanium implant, or to have a bone taken from another part of the patient’s body. Both of those options have problems. Titanium is not a good material – it’s a strong material, but it doesn’t quite perform the same way as bones. Bone that is removed from other sites, on the other hand, frequently causes trouble healing in the donor sites. What we’re looking at is not just to 3D print a replacement bone, but to print a honeycomb-like scaffold which then becomes a host for the patient’s own bone cells to regrow over time. Ideally, instead of requiring multiple operations to replace their implants, patients would receive one scaffold which would be suitable for the rest of their life. The project is an interesting mix of engineering to develop the scaffold, physics in the choice of material, biology to get the cells to grow in such a scaffold, and medicine to determine which patients are suitable, how to get the scaffold into a patient, and how to support them while the bone grows. I think it’s going to be an important project, and I look forward to working on it further.